Birdwatch! What kind of bird is this? Birdwatch continues! Can anybody identify this bird? It had a red breast and very attractive brown/grey stripes. Got the good camera by the patio door, but out of batteries! Optical-zoom SLR photos coming soon I promise. Looks like we might have sightings on a near daily basis. I hope the Steller’s Jays are back soon! 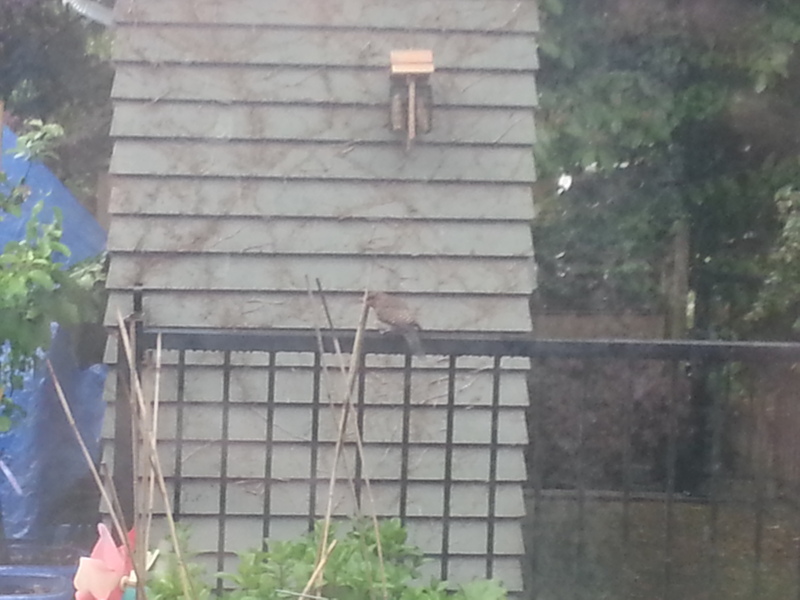 UPDATE: Canadian Flicker is the front-runner for the time being.